Ethereum is an open-source public distributed platform that features scripting functionality. For each set of transactions, a group of miners use specialized computers to solve a cryptographic puzzle successfully. In case, miner get a hash that matches the algorithm, the miner will be rewarded with Ether. As like other cryptocurrencies, Ethereum also uses Proof-of-Work algorithm, so there are no chances of double spending in this network. Before starting Ethereum mining, a special computer hardware is needed for dedicated mining full time. 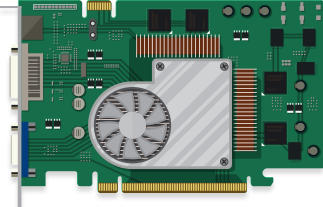 There are many types of mining hardware, such as CPUs and GPUs. 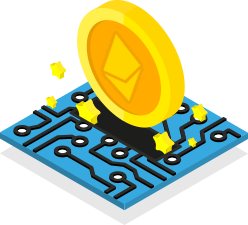 In the initial times, CPUs were used for Ethereum mining. Today, for mining, you need a mining rig, made up of multiple GPUs. In addition, miners can calculate the mining profitability through calculators. Accordingly, they will know what amount of ether, hash rate, and electricity they will need to earn profits on their investment. Post choosing a mining hardware, then miners need to install the software for mining. They need to connect to a client for the network. The programmers or developers who are familiar with command line, install geth that is based on the ‘Go’ scripting language. Miners can download Geth on Mac OS, Linux, and Windows. After installing it, the node can help you connect to Ethereum network. This node provides an interface in order to do transactions and deploy smart contacts using the command line. 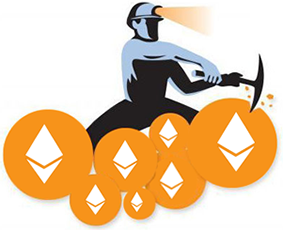 Mining ether is also possible on the private network with decentralized applications or smart contacts. For testing, mining does not need a hardware. Miners just need a computer or PC with Geth or some other application installed. This is one of the best methods to mine an Ether. Ether can also be mined by joining a mining pool. The pool will have signup process through which miners can get on the network and start mining. As mining ether on your own is less profitable and expensive too. Nowadays miners pool together and solve the complex mathematical problems on the network and mine ether together. Post that, they share the profit as per each miner effort. We are social. Connect with us on these social media. Get discount notifications and special offer by subscribing to our newsletter.